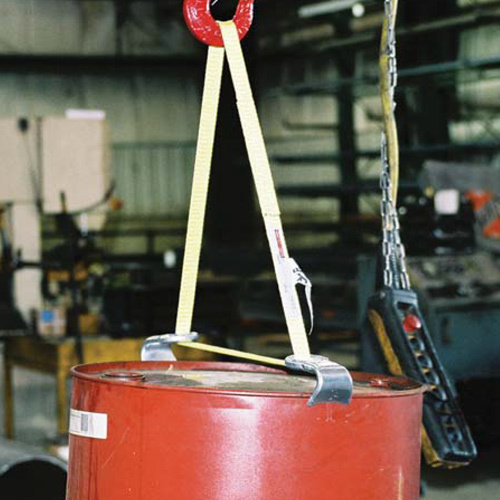 Use with chain, wire rope, or 1″ nylon slings to lift drums or barrels. Ideally configured for use with an endless sling. Full 2-7/8″ lip for positive grip. Lifts drums either vertically or horizontally. Complies with ASME B30.9 sling capacities. Shown with 1″ nylon sling. NOTE: Use on metal drums only.